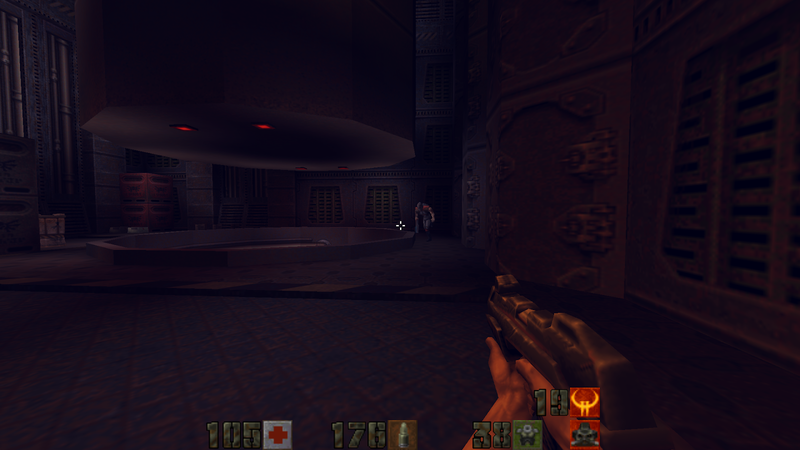 This particular track you hear is Track 5 on the Quake II CD-ROM; the game incorporated Red Book Audio meaning you could play the soundtrack in your regular CD music player. It's called "March of the Stroggs" which is a fitting name for this track as you could just imagine a horde of the Strogg, shambling its way towards you while listening to this. Some of you are probably wondering, "What the hell is a Strogg, anyway?" Well, they're the primary antagonists in Quake II, Quake IV and Enemy Territory: Quake Wars: they are a hostile, cybernetic alien race intent on harvesting Humanity for their own survival. So, I guess they don't make very pleasant neighbours.